I grew up reading comic books and watching TV shows that had new episodes each week during a 'season' that ran from September through May. Comics came out monthly or bi-monthly in general and we had to go to bookstores or grocery stores that had spinner racks or magazine racks. The networks were only three plus PBS back then. Sometimes there would be primetime previews of cartoons that would run on Saturday mornings. Sometimes those cartoons were based on comic books that I read. Occasionally an adaptation of a film into a comic book would appear in the spinner rack. If it was one of the Marvel Super Specials it was magazine-sized and colored beautifully. (I have fond memories of discovering Steve Oliff's talents among those comics.) If it wasn't a MSS it was a comic and it was usually a two-parter. A very limited series. 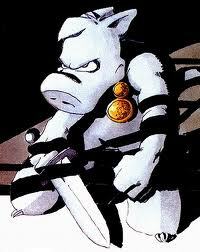 According to this article on Wikipedia, Dave Sim is credited with creating the first (and longest) limited series with his title Cerebus the Aardvark. DC Comics published the first modern miniseries, The World of Krypton, after the cancellation of its excellent and long-running title Showcase which functioned as a kind of tryout book for new characters or B- or C-list characters. Three issues long, WoK appeared monthly in the spinner racks as did Untold Legend of the Batman and then so many, many others. In TV, they call them miniseries, too. At least in America. The first one I remember watching was Roots and when that proved wildly popular there were two or three miniseries on every network each season. One of my fondest memories was watching the adaptation of Ray Bradbury's The Martian Chronicles. It stuck in my mind so hard that when I stumbled across the DVD version of it at my library in the last three or four years I had to see it again. Of course it wasn't as good as I remembered. The sequence of the Martian woman falling in love with a human and the connected story of Jeff Spender (played wonderfully by Bernie Casey) going native were still powerful stuff but the rest of the series showed its age. It seems that the time might be right to revisit the stories and see if an update could happen. I digress. Fast forward. In comics we had extended limited series with titles like The Sandman, Preacher, and 100 Bullets where creators (remember Dave Sim?) announced there was a definite end. And the creators stayed to the end, mostly. (Sandman had rotating artists as each new arc began after creators Sam Kieth and Mike Dringenberg left.) This is part of what made all three of those, in particular, so successful. On TV, The Sopranos on HBO had a definite end announced by creator David Chase. I seem to remember David Milch saying that Deadwood also had a definite end but it was cancelled before it was reached. As well, Carnivale was cancelled before its intended ending, though that show may have been too ambitious for its own good. Regardless. You get what I'm saying. On the other side of the pond, the BBC produces limited series that return from year to year (Downton Abbey is the most prominent in popular culture right now but hardly the first) in the same way. In fact, HBO's approach of 10 - 13 episode seasons I bet was inspired by the BBC. I can't confirm that, though. My point here is that I believe limited series storytelling is the way to go. Get in, tell the tale you want to tell, have a definite ending, and go home with acclaim and awards or at least something that can disappear quickly. I've always believed that. Ever since I read World of Krypton all those years ago. A series of miniseries works better than an ongoing, never-ending narrative that must be sustained by keeping characters the same as they've always been. Next time I'm going to get into why I think that characters like Superman, Spider-Man, and even James Bond (in film, at least) have failed their fans more than they've succeeded. Kim and I are starting to watch American Horror Story for just this reason. The sole reason to create the ongoing series is financial, and I always keep this in mind when choosing what shows to sample on television. Hi, Steve! Yeah, that's why I started it, too. Haven't finished, though. I will but just haven't yet.